Jean-Marie Aerts holds a Master of Science degree in Bio-engineering and a PhD in Applied Biological Engineering (2001) from the KU Leuven (former Catholic University of Leuven) in Belgium. Currently, he is heading the Division Animal and Human Health Engineering at the Department of Biosystems of the KU Leuven. His research is focusing on data-based mechanistic modelling of biological systems as a basis for developing controllers and monitors for human health applications. 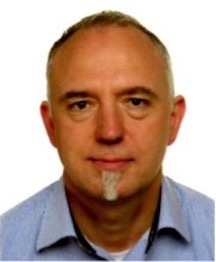 Jean-Marie Aerts has been a visiting researcher at the Engineering Department of Lancaster University and at the Institute of Biomedical Engineering of the University of Oxford.